There are many other types of pests that may be cause for concern. 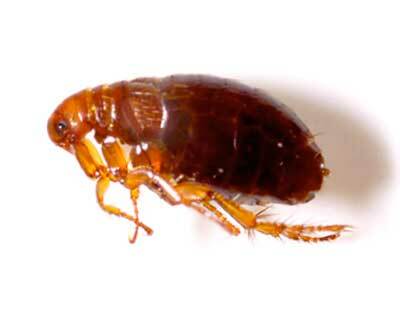 Below are a few additional pest that Arizona Organic Pest and Termite Control can help with. Call us about these or anything else you might find creeping and crawling around in the corners of your home or business. There’s no mistaking a centipede crawling around, uninvited in your home, recognizable by their many legs and quick snake like movement. Though more of a nuisance pest and unlikely to be fatal, their venomous bites can be hazardous to humans, especially to small children and those with allergic reactions. A bite will generally cause pain, swelling, fever and weakness, but can trigger anaphylactic shock in those with allergies when bitten by larger centipedes. 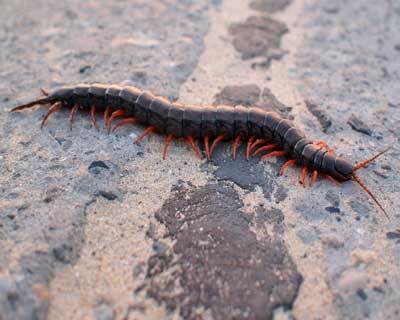 Smaller centipedes are generally incapable of breaking through the skin. 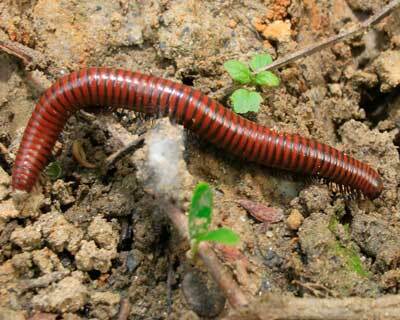 Millipedes are similar to centipedes and equally as cringe worthy when found crawling around, but do not bite and are not dangerous to humans. At a quick glance, millipedes differ from centipedes in that their body segments generally have a more rounded appearance with plated exoskeleton, and their movement tends to be slower. This is especially the case with the Desert Millipede, which is what you are most likely to encounter in Arizona. A millipede’s primary defense mechanism is to secrete a foul smelling fluid that can cause skin irritation and/or discoloration in humans. It’s definitely not entertaining when you have a flea infestation. These tiny flightless parasites are the pure definition of nuisance, and carriers of diseases. The itching from their bites can be maddening, and your pets can scratch until they injure themselves. Fleas feed on the blood of their host, which usually starts when a pet acquires them from another flea infested source, though you can get fleas without having a pet. All it takes is an invading infested rodent and you have fleas. Once you have them it will only get worse until you consult with a pest control company to plan their elimination, and future prevention. Fleas are especially hard to get rid of because their cocoon’s in the pupa stage are highly resistant to all insecticides, and will hatch after a treatment has run its course starting the cycle all over again. They are tiny and hard to spot as they get into hair and clothing. Once you find one, it will likely jump away and disappear in the blink of an eye as their large hind legs are designed for a quick getaway when threatened. Not to mention, when you find one, there are potentially thousands more. Head lice are small wingless insects that feed on human blood. They are most common in children 3 to 12 years of age, transmitted mostly through head to head contact and by sharing hair utensils and other head gear like hats and headphones. With an inspection, they can be visibly seen on the scalp, and their eggs (nits) on hair shafts. Symptoms of head lice include itching and sleeplessness. Scratching can lead to secondary bacterial skin infections, and cause anxiety, embarrassment and loss of school time. Head lice are not transmitted between human and animal species. Once detected steps should be taken to wash all clothing and bedding in hot soapy water, and dried on the high heat setting. Head lice in all stages cannot live at a temperature of 130°F. 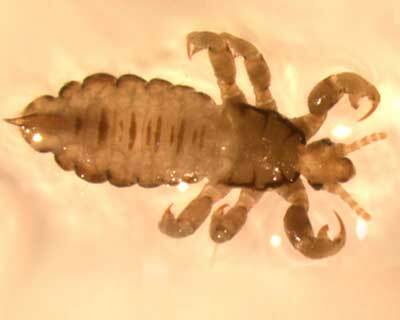 Doctor prescribed treatments may be necessary to rid the body of a lice infestation. Silverfish are wingless insects with long antennae that don’t get much bigger than about an inch long. They get their name from their silvery color and fish like movement. They prefer a humid environment and are more likely to be found near moisture such as a bathroom, damp basement, etc. They move quickly horizontally, but lack the ability to climb a wall or object at a fast pace. Since they are nocturnal, you may not even realize you have them. They can live up to 8 years, and molt throughout their life span. 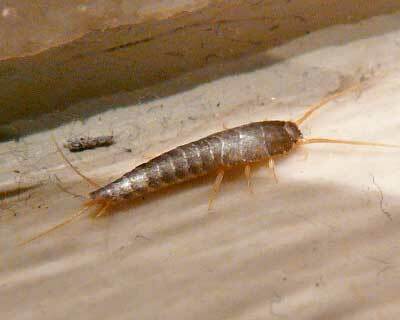 Silverfish do not bite and are not harmful to humans, so there’s no cause to jump on a chair and scream. That being said, the longer you go without treatment, the more damage they may cause. Their diet consists of sugars and starches, so they’ll get into your food, and nibble on paper and cloth goods causing damage to books, sheets, clothing, etc. Also, their molted endoskeletons can create excess dust in the air, which might be an issue to those with respiratory sensitivity. Ticks have withstood the test of time since the Cretaceous period, feeding on the blood of living creatures, and humans alike. They prefer warm humid climates, and find their hosts by odor and changes in temperature, so be aware when you decide to take a nap on that grassy hill that a tick may be present and hungry. Like most blood eating insects, a feeding tick can cause infections and can transmit several diseases including Lyme disease, Q fever, Rocky Mountain spotted fever and more. While they do not fly or jump, ticks find clever ways to get ahold of a host by transferring from one spot to another until they’ve found their host. At that point they attach themselves and begin to feed, and will stay attached until completely engorged. If not removed, it can feed for days or weeks. 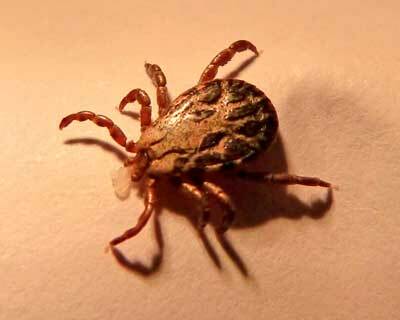 Removal is tricky as parts of the tick can break off and remain in the skin causing infection if not handled properly. If you suspect you have ticks present, steps should be taken to protect the people and animals who inhabit your property. To learn more about pest control for other types of pests, contact a Arizona Organic Pest & Termite Control specialist for a free assessment.